As quite literally the first thing people see upon arrival, the entryway is so overlooked and yet it’s such an important part of your interior. First impressions matter, therefore you want the entry to your house to be peaceful and welcoming, while also reflecting your style. 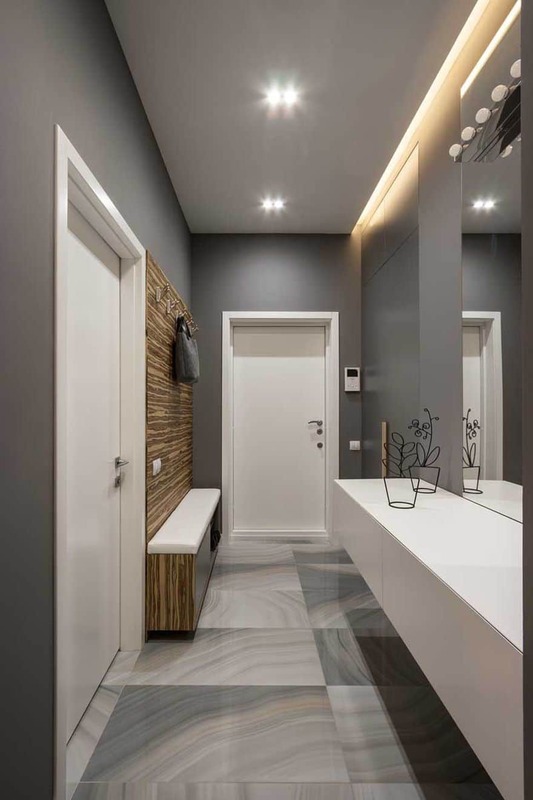 Whether you have a grand entry hall or a door that leads directly into a tiny studio apartment, you can create an entryway that’s functional, beautiful, and reflective of your personal taste. There’s plenty you can do to make the space your own but there are some essentials that no matter the size your entryway should have. This space sets the tone for the rest of your home – it has got major style and storage potential. 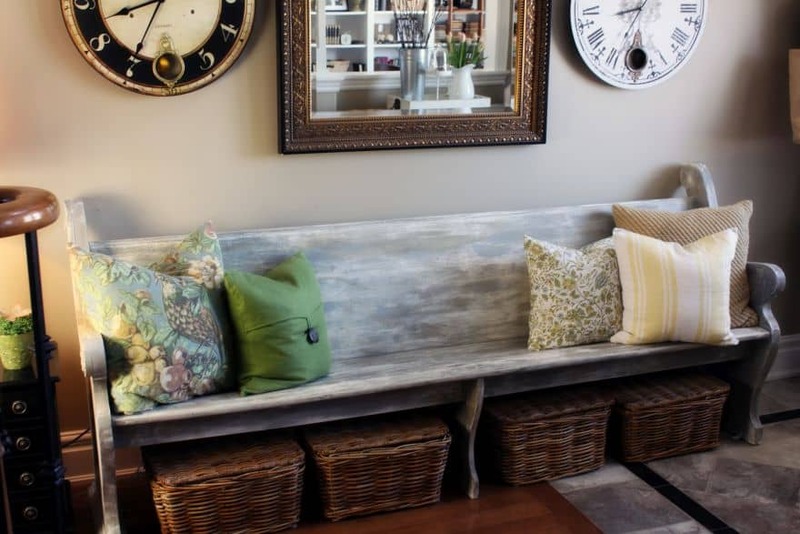 And what better way to enhance this potential than with an entryway bench? 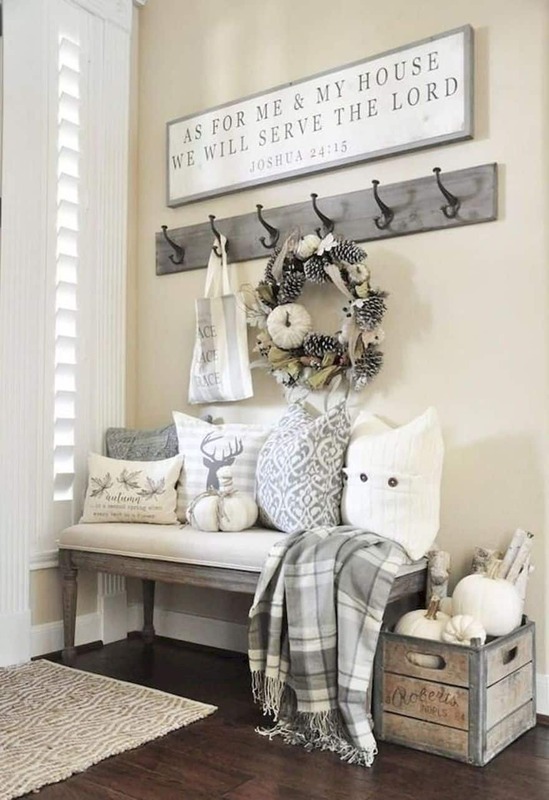 Proper entryway decor can instantly make guests feel welcome, can give an idea of our personal style, and can also be a small space full of practical storage solutions. Not sure how to decorate your home entrance? 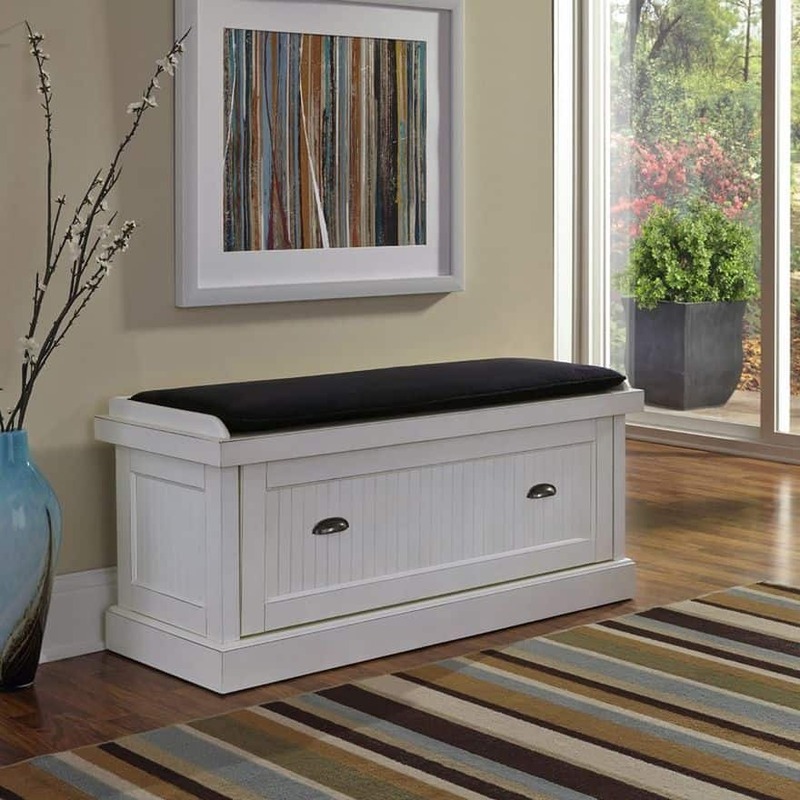 An entryway bench is the perfect way to do it. It adds practical function to an entryway, providing the extra seating and storage that your front door area so desperately needs. Basically, it’s like you’re doing an entryway makeover with just one item. 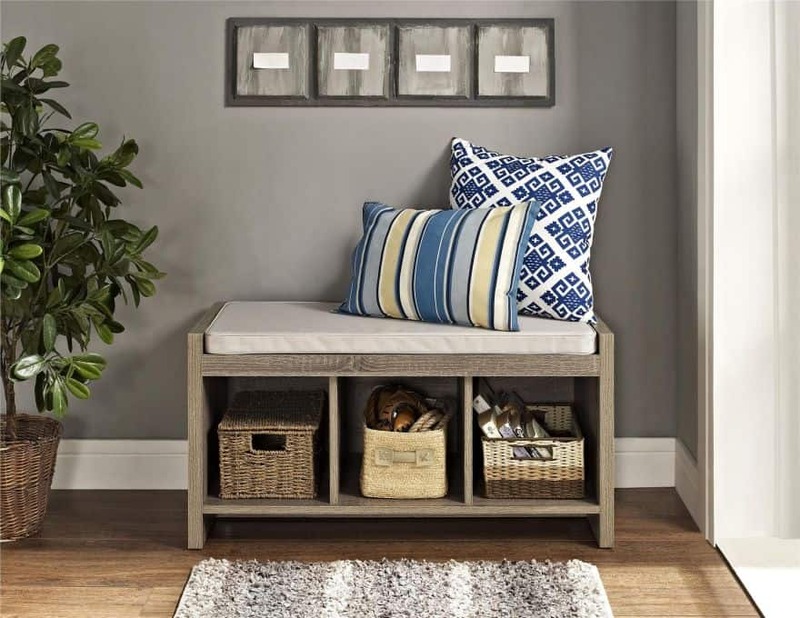 A stylish entryway bench with storage underneath can do double duty – make room for storage and still make a great first impression. There are lots of styles to choose from, ranging from simple and minimal to intricate and elegant. 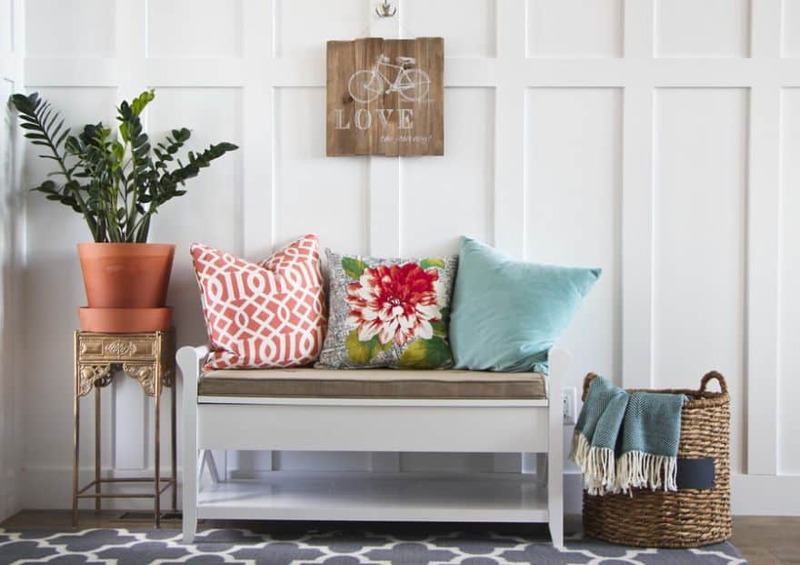 Read on for a few of our favorite ways to create a stylish entryway that is useful, functional and beautiful, using entryway benches. The entrance area of a house is your first chance at making a statement with your interior, but is also the place where everyone dumps their belongings when they come home. 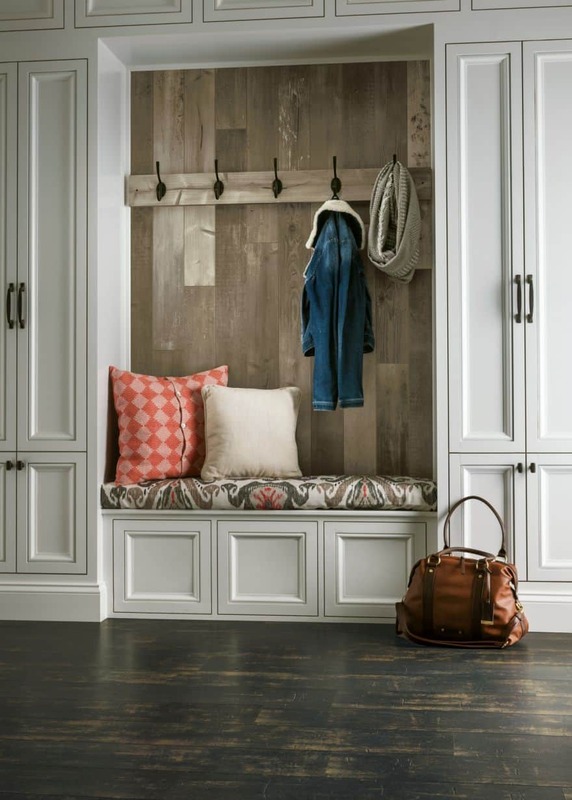 If you’re looking for an easy way to update up your entryway, making this space functional and stylish at the same time, entryway benches with storage will help you meet both goals. 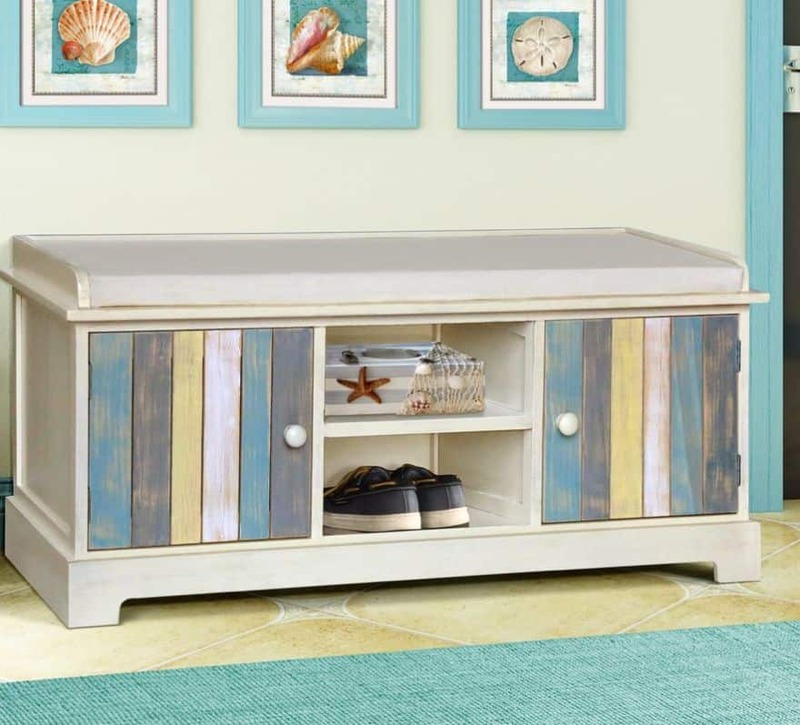 They’re like all-in-one options that provide storage, seating, a shoe rack and more. The kind of entryway benches you need will largely depend on the size of your family and the daily essentials you want to keep by the door. Just make sure they coordinate with the style and colors of the surrounding rooms for a smooth transition. 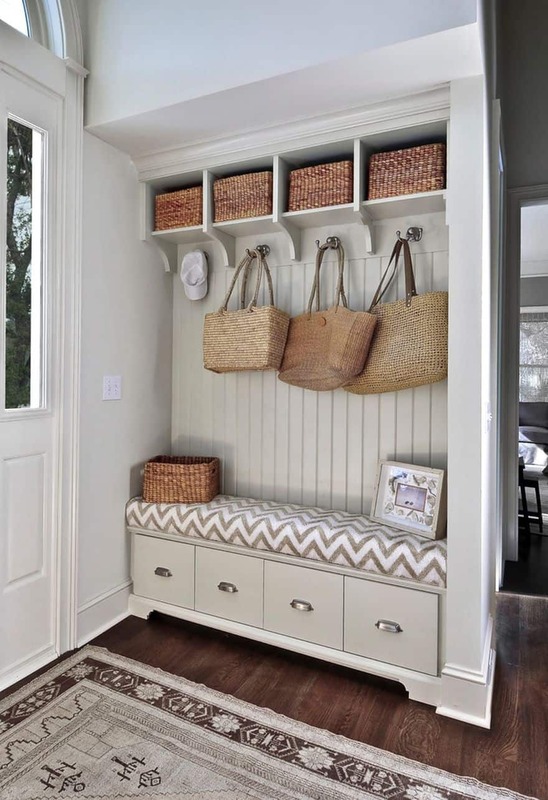 Here’s a round-up of ideas and inspiration for how you could use an entryway storage bench to elevate your entrance no matter the size! 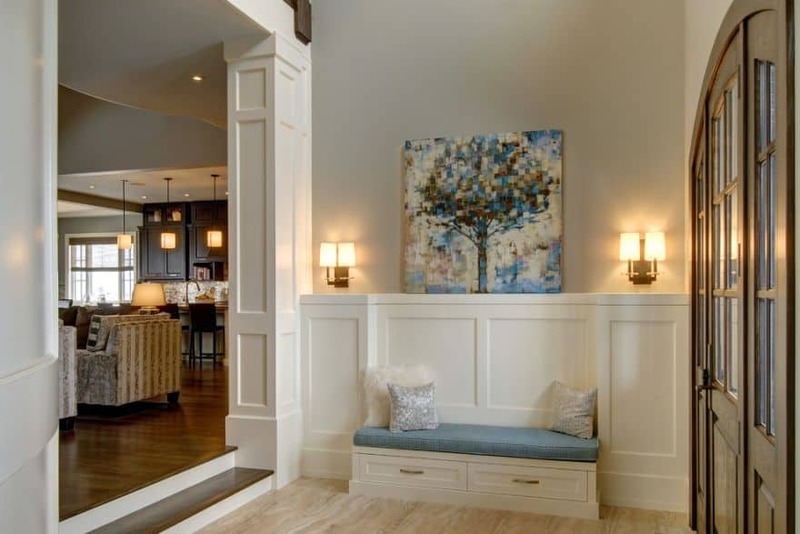 Custom built-in entryway benches create the look and feel of installed furniture and can be designed to work with your interior. 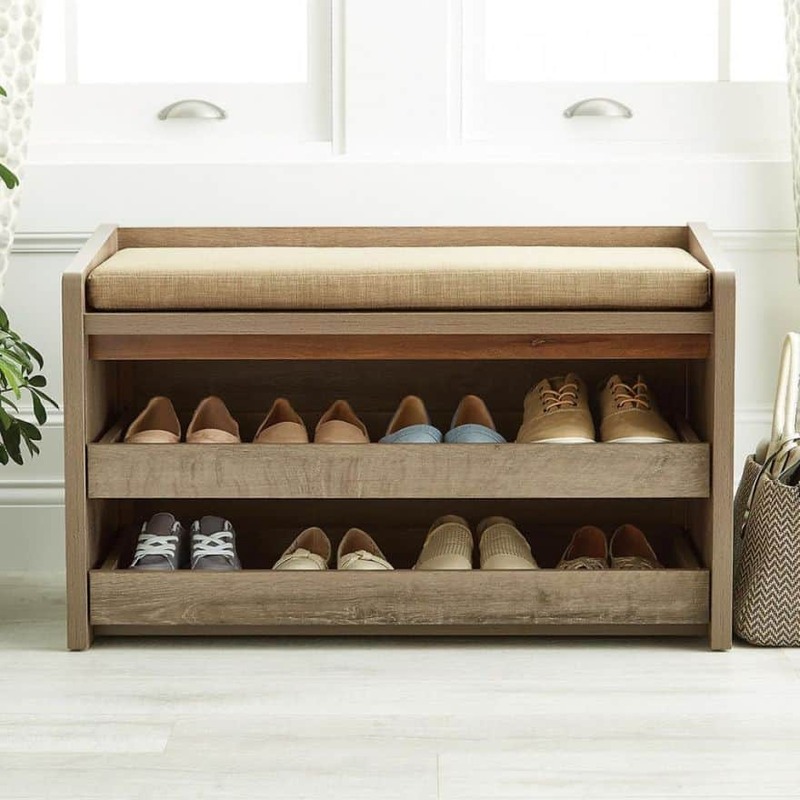 They’re also a great way to create an organized entryway that’s both functional and stylish. 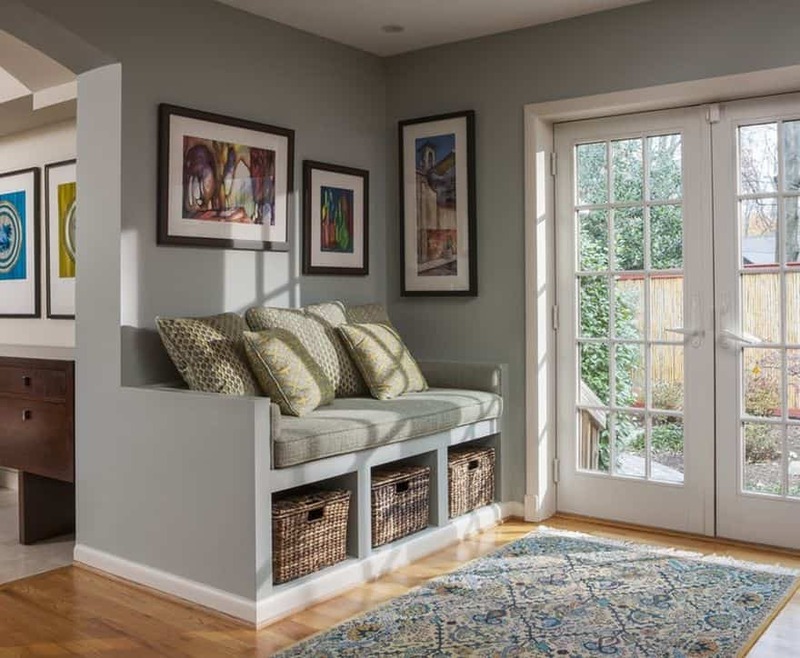 These built-in benches can help you to maximize your space and provide necessary storage. They’re the perfect way to make a great first impression that’s in style and on-budget. Being custom-made, they’ll give your entryway a more cohesive feeling, making the entrance of your home as spectacular as the rooms that follow. 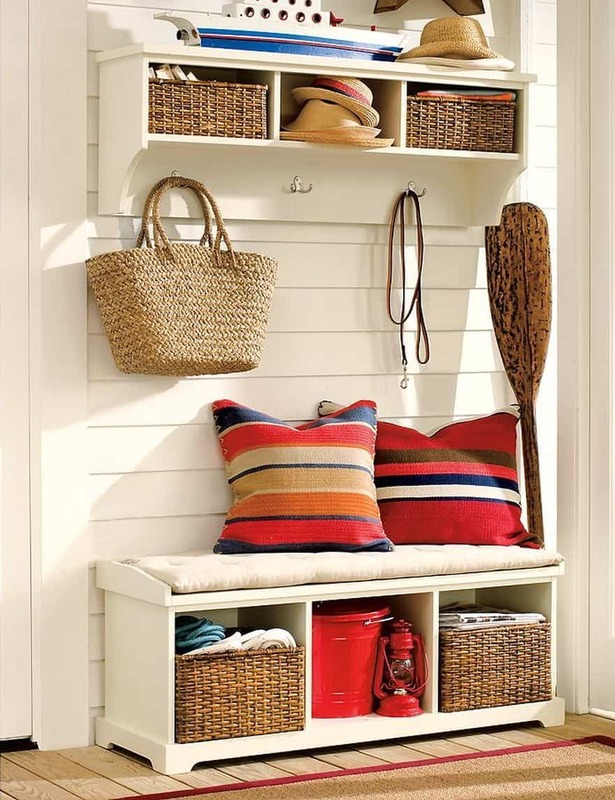 If you’re looking for more entryway décor and storage inspiration, check out the image gallery below. 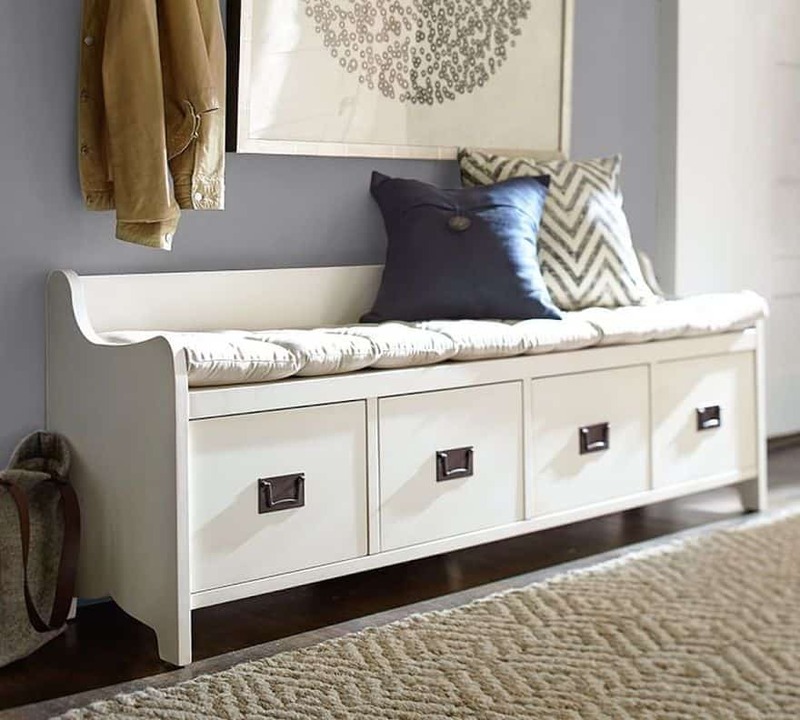 Whatever your personal taste may be, these editorial-worthy entryway bench ideas were picked with every style of home in mind. 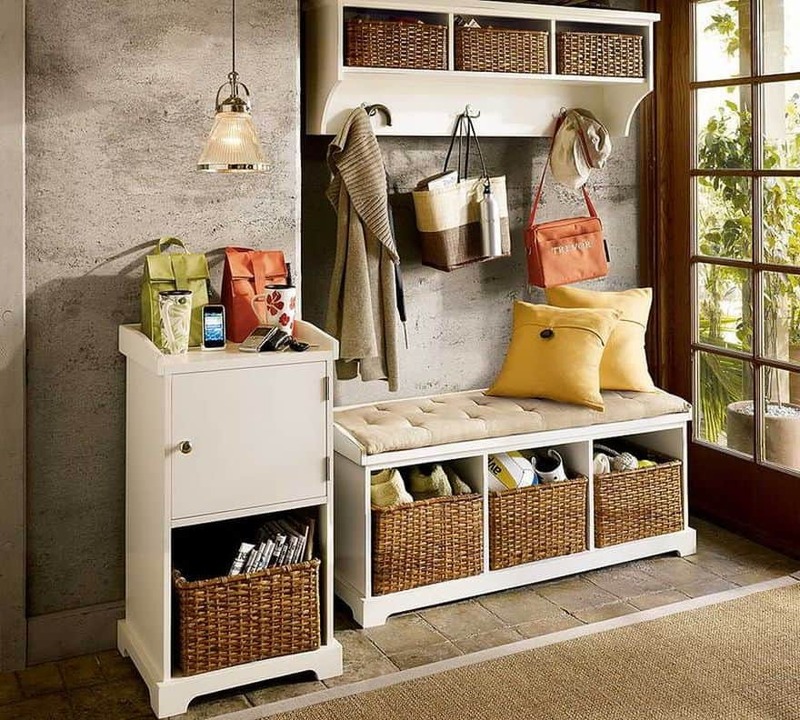 You’ll make a stylish first impression with our ideas for an elegant and organized entryway. After all, you only get one chance, right?